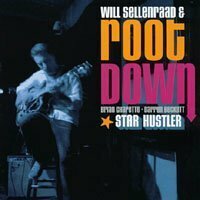 Will Sellenraad and Root Down’s Star Hustler (Tintop) is reminiscent of Big John Patton or “Groove” Holmes dates in its use of the organ within a trio setting. While Sellenraad shifts from light, blues-influenced playing on “Go Get It” or “Play It Back” to swinging, tight solos on “Live Wire” or “Bag of Jewels” Brian Charette delivers warm, resounding phrases behind Sellenraad and dashing, assertive phrases when soloing. He provides a good vocal on “Frightened People” and expertly handles double duties of second soloist and secondary rhythmic complement. Drummer Darren Beckett is forceful without being overbearing, playing with a crisp, crackling assurance on “Go Get It,” “Play It Back,” “Bag of Jewels” and the title cut. 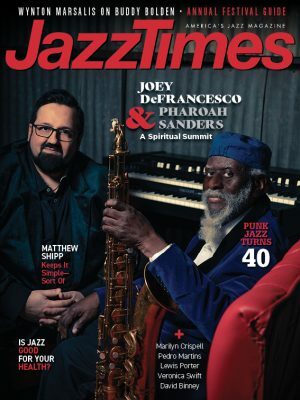 A personal favorite on the disc is their rendition of Wayne Shorter’s “Armageddon,” not exactly an organ-guitar group standard. Sellenraad plays both a fine melodic exposition and chilling solo, and Charette and Beckett ably propel the song. This disc was my introduction to Will Sellenraad; it would be nice to hear a lot more from him.